The CeMoRe February Showcase and lunch will be on 26th February 13.00-14.45 in LICA A27 and the LICA Foyer, Lancaster University. This is event is open to all who would like to attend and watch the presentations. If you want to be sure of sufficient lunch, and to confirm your attendance, please could you please register here. If you would like to join remotely, please message Jessie with your Skype ID to cemore@lancaster.ac.uk. Any questions, and if you would like to present, please let Monika or Jess know. We look forward to seeing you! There will be short presentations from a range of CeMoRe associates at both Lancaster and beyond, summarising and showcasing their current work. 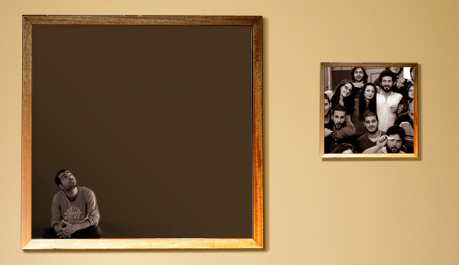 Thiago is assistant professor at the School of Arts, Sciences and Humanities (EACH), at University of São Paulo, Brazil. His main duties are teaching undergraduate courses in leisure and tourism and supervising research projects on various aspects of mobility and tourism (automobility and history, urban mobility and migration in relation to leisure and tourism). In his academic pathway, Thiago is seeking do develop and improve a theoretical approach on tourism based on mobilities, with special regard, amongst others, to the writings of John Urry – especially the basilar “The Tourist Gaze”. Indeed, in Brazil, tourism research and education – as a specific field – is relatively new (1970s). Therefore, recent developments are increasing opportunities for new understandings through interdisciplinary approaches, also in cooperation with scholars from other countries. In this context, making bridges with social sciences is essential. Sally Bushell is professor in the Department of English Literature and Creative Writing at Lancaster University. Her research seeks to open up new modes of interpretation for the literary work by enlarging the focus of literary criticism from interpretation of semantic content onto comparative understanding of other aspects of the literary work in ways that not only illuminate traditional models but, potentially, re-determine them. She is also interested in future ways of reading and spatialising literature through the digital medium and is PI on a major (£900,000) AHRC project: “Creating a Chronotopic Ground for the Mapping of Literary Texts” (2017-2020) which enables the generation of a map or spatial visualisation out of the text itself for any work of literature (with or without real-world correspondence) and adapts gaming platforms to create new ways of reading literature in digital space that combine text and image in an iterative way. I am currently writing papers out of the Mobile-Age project, on co-creation and technology. I have recently researched energy demand in office building design, online shopping, and everyday travel practices. Previously I have researched mobility/transport and climate change policy, (particularly wind, marine and small hydro) renewable energy technologies, nuclear waste disposal policy, fuel poverty, energy and the built environment, carbon capture and storage, especially with reference to public (deliberative) participation in policy-making with experience in conducting and analysing public engagement processes. My theoretical interests and background include STS, SSK, Cultural Theory, organisational theory, deliberative democracy, Transition Management (MLP) and the spatial and mobile ‘turns’ in social science research. I focus on qualitative research methods. Margherita Cisani holds a PhD in Geography and she is a post-doc researcher at the Department of Historical and Geographical Sciences and the Ancient World of the University of Padova (Italy). She is developing a project dedicated to landscape education and training, which contains a focus on the role of outdoor education and mobility in landscape perception, awareness and literacy as well as on the political dimension of landscape, as a tool for citizenship education and empowerment. She is also interested in the impact and challenges posed by tourism and tourist practices on landscapes, especially terraced landscapes. This diversity of topics and contexts is though connected by a common thread, which is the interest in exploring the multiple and complex ways in which mobilities affect landscapes and vice versa, on a material, immaterial, political and collective dimension. Kornelia Hahn is Professor for General Sociology and Sociological Theory at the Department of Sociology and Cultural Science at the University of Salzburg. She contributes mainly to the departmental research cluster Cultures of Modernity from a social constructivist perspective. Her research interest refers to transformations within mediated sign cultures in Modernity. Currently, projects and publications include theorizing phenomena and dynamics of the organization of (new) media communication, intimate relationships, body therapies and clothing. She received academic degrees from the University of Bonn/Germany and awards for academic talks and academic publications from Leuphana University Lüneburg/ Germany. Coventry University is an artist, academic and writer trained in photography, visual & oral histories. Caroline will be bringing a selection of her work and a short film that introduces her participants as she speak about auto-ethnography as a research methodology when working outside of your own environment. All of this underpins her PhD research and is related to the research she is currently doing, which is examining the visual habitus of transcultural photographs working with a Diasporic Anglo-Turkish group in London. We are also very grateful that Caroline will also be loaning some of her art prints to CeMoRe, where they will be displayed until the end of the academic year for 2018-19. 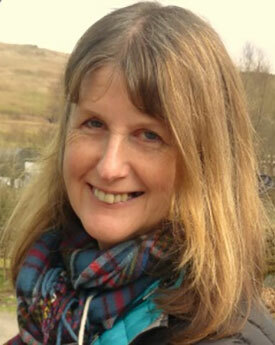 Lynne Pearce arrived at Lancaster in 1990/1, having gained her PhD from the University of Birmingham in 1987. 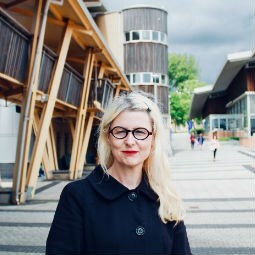 Whilst studying for her PhD, and in the years immediately following, she worked part-time across of wide-range of further and higher educational establishments in the West Midlands, and then – for one year – in the English Department at the University of Durham. This apprenticeship remains vitally important to the values she attaches to Higher Education and to her recognition of the challenges faced by graduate students embarking on an academic career. Kyoko Shinozaki is Professor in the Department of Sociology and Cultural Science at the University of Salzburg with a focus on Social change and mobility. I am a Ph.D. candidate in Human Geography at the University of Oslo working on a research project named Smart Mobility suburbs (SMS). My research interests include: urban studies and suburbanisation, daily mobilities, sustainable transition, qualitative methods. The primary objective of my Ph.D. project is to study sustainable transport transitions from the perceived spaces of daily mobilities in the Oslo metropolitan region. To get a more comprehensive understanding of these transitions, I argue for studying the spatiotemporal rhythms and activities of daily life that policies do not take into account. One of the ways I am doing this is through following electric bikes. I am studying the e-bike as an innovation in practice, how it relates to the suburban context and the rhythms of daily life. I am conducting qualitative fieldwork, which includes interviews, mobile methods, GPS-tracking, and visual methods. Sharon Wilson (FHEA) joined the faculty in October 2017 as Senior Lecturer in Tourism and Events at University of Northumbria Business School. As an interdisciplinary researcher, my interests are human mobilities, cultural tourism, business innovation and the creative industries. As a social scientist and creative practitioner, my research fits with the aria of emotional geographies, embodiment theory, transport ontologies, post-humanism and creative thinking in innovation. Having completed a PhD that looked at body-machine relationships in auto-mobility, I have subsequently produced a body of work around sensory mobilities and slow travel. With engagement with the ‘new mobilities paradigm’, my qualitative work also welcomes plurality and innovation in research episteme to contribute to the evolution of creative methodological practices. Carlos’ work looks at futures thinking and future forming through the lens of cities, ruins and infrastructure. He has studied cities like London, Paris and Shanghai, using history as a means of thinking about what theories and which methods are relevant to understanding their future today and in the past. Carlos am interested in research that is comparative and collaborations that combine disciplinary rigour with cross-disciplinary openness.